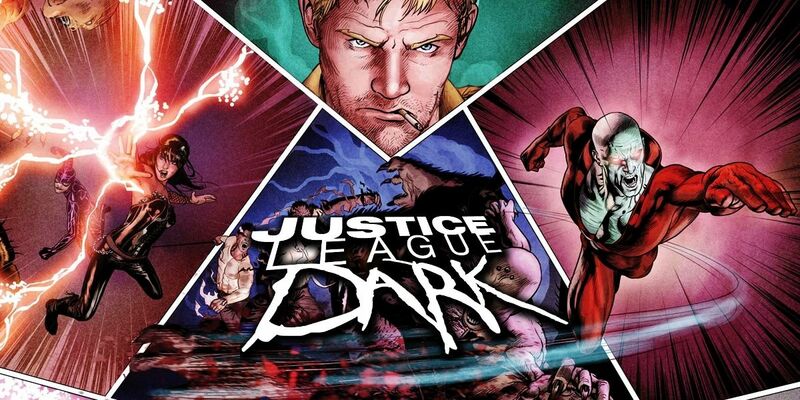 There may already be a sense that the DC Comics Extended Universe is angling too far into the "dark" side of the comic book movie spectrum, but for fans of the publisher's universe, the term "Justice League Dark" means a whole lot more. It's the title of DC and Vertigo's team of supernatural, mystical and occult heroes, united to combat the threats that the regular Justice League can't solve with superpowered punches. And after reports claimed that a film adaptation had become a priority for Warner Bros., we now have a director in place. Following on the news that Doug Liman (Edge of Tomorrow) has been attached to the project previously shaped and departed by Guillermo Del Toro, the report includes a brand new title for the film: Dark Universe. While that may not be the official final title, the cast of the film seems to have remained the same -- unless Liman is intending on making some changes. But no matter who else may appear in the film, there's little doubt that it will all be anchored on the human sorcerer John Constantine. With some actors previously rumored to be in the running, and Warner Bros. looking to land top-tier talent for their DC Films, we're running down some of our choices of actors in a list of 15 Actors Who Could Play Constantine In DC's Dark Universe. He may be best known for his quieter or period roles by North American audiences (affecting an American accent), but in Joel Edgerton's earlier work in his native Australia, it was his easygoing charm and personality that won him attention. After transforming himself time and again with a seriously impressive filmography in recent years, the only thing Edgerton is missing is a mainstream, action-focused, big-budget starring role (since Exodus: Gods and Kings turned out to be a BIG swing and miss in that department). With his dramatic skills more than proven on screen, and the fact that he was once in the running for the role of Star-Lord in Guardians of the Galaxy proving he's popped up on the radar for a major comic book feature before, he's within the realm of possibility. He may not be the most likely choice, but he's one that would instill little doubt -- and could do as much for him as he could do for the film. It wouldn't be fair to compile a list of actors capable of doing justice to John Constantine on the screen without including the man who most recently tackled the job: Matt Ryan. The former star of NBC's Constantine may not carry the kind of fame or name recognition as others on our list, but the fact that he already inhabited the role means he will have a sizable fan base (until a different frontrunner is announced, at least). For his part, Ryan succeeded in accentuating the attitude of Vertigo's callous spellcaster during Constantine's run -- and for all the show's problems or shortcomings, his performance was rarely cited as a notable one. Now, will Warner Bros. and DC Films set a risky project on the shoulders of a TV actor already tied to a failed adaptation of the film's hero? The smart money would lean toward no, but we doubt Ryan's fans will be swayed in the slightest. At the very least -- assuming today's news hasn't changed DC's plans in any major way -- Ryan's fans can still look forward to him reprising the Hellblazer role in an upcoming animated adaptation of Justice League Dark. The idea that Hollywood is divided between Hollywood 'stars,' character actors and 'the rest' is put completely into question by Karl Urban. With fan-favorite roles in franchises like The Lord of the Rings, Bourne, and the new Star Trek, Urban has become a familiar face among big-budget action films -- and he'll soon be adding Thor: Ragnarok to that list. But ask any fan of those franchises, and they'll tell you that Urban has so far been denied the leading man success he's rightly due. In the interest of looking for actors who embody more than just the physical appearance of John Constantine's traditional artwork, we're singling Urban out as one actor who wouldn't just sing in the role, but in the eyes of many, would deserve the shot. After all, this is the actor who managed to silence every critic by bringing Judge Dredd to life without ever showing his face -- creating a passionate cult following in the process. If Dark Universe is intended to be an ensemble, lessening the clout required for its lead, then Urban would have our vote without question. He may owe comic book movies like Wanted and X-Men: First Class for his rise to prominence in America, but that's only a sliver of the skills that James McAvoy has put on display in his career. It would be a stretch to say that the X-Men film series owes its current status to the fact that McAvoy, with co-star Michael Fassbender, began something of a new age for Marvel's mutants, but the Scottish actor played a major role in revitalizing Fox's biggest superhero series. 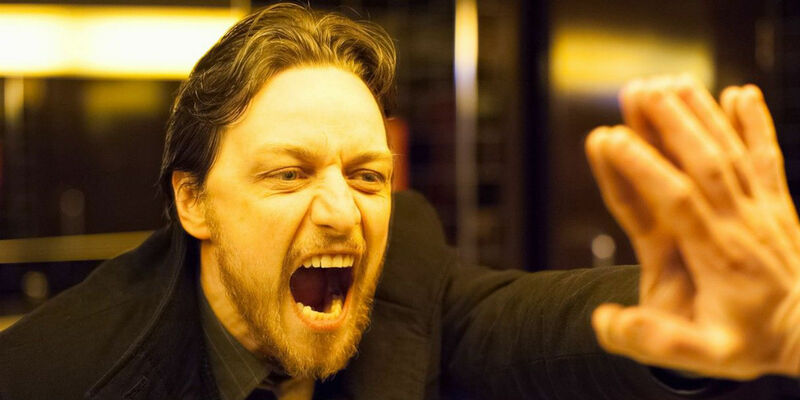 If roles as the polite and proper Charles Xavier or the tragic hero of Atonement make McAvoy seem an odd fit for a character as troubled and destructive as John Constantine, McAvoy's turn in Filth (from the same mind behind Trainspotting) should erase any doubts that he can charm as a reprehensible figure of authority. Most importantly, if the fallout from Batman v Superman and Suicide Squad has the studio thinking of scaling down a project like Dark Universe, McAvoy is a win for any budget. Look, the fact of the matter is that we're living in an age when Idris Elba is on a level of 'cool/quiet/class' that not many other actors can touch. Now, an actor of Elba's stature (both dramatically and physically) may depend on the larger plans that DC Films may have for the character, and his team as a whole. If it's meant to be a smaller, stranger, more artistically interesting counterpart to the heroes of the DCEU -- as Vertigo was, in its own early days -- that's one thing. But if the plan is to use characters like Enchantress and Shazam to link to the two worlds, it would be wise for Warner Bros. to cast an actor who can hold his own opposite the likes of Ben Affleck and Dwayne Johnson (in all possible ways). His commitment to the Thor franchise over at Marvel could stand in the way of this casting, but considering that the 43 year old has previously expressed disappointment in his role in the series, it isn't hard to imagine a scenario in which Heimdall's expanded role in Ragnorak leads to his death. It is the Norse apocalypse, after all. If Elba's Heimdall were to bite the dust, he would certainly be on the shortlist for Constantine. Now, is this the latest case of us suggesting that Idris Elba would not only be qualified for any role in Hollywood, but make it an overnight hit? Most definitely. But that doesn't make it a bad choice, either. We've been in Luke Evans' camp for some time now, after seeing his star rise from smaller, UK features to more prominent roles in films like Furious 6 and Dracula Untold. In the first case, he played a smart, competent, badass villain that was so damn cool, only a man like Jason Statham could convincingly portray his brother. And in the second, he headlined a film that seemed to tackle rough odds head on, but somehow delivered satisfying action and -- most importantly -- a surprisingly satisfying dramatic arc from Evans (while also being brutally fantastic as the titular 'Dracula'). A role in Peter Jackson's Hobbit trilogy followed soon after, but to put it simply, an actor with the looks, talent, onscreen presence and offscreen charm is the kind of person comic book filmmakers are permanently hunting. If the top priority for Dark Universe is to capture the 'cool' side of Constantine, then Luke Evans is the personality they need. And since a marquee role for Evans seems to be inevitable, a chance to showcase more than his heroic attributes would be welcome, as well. 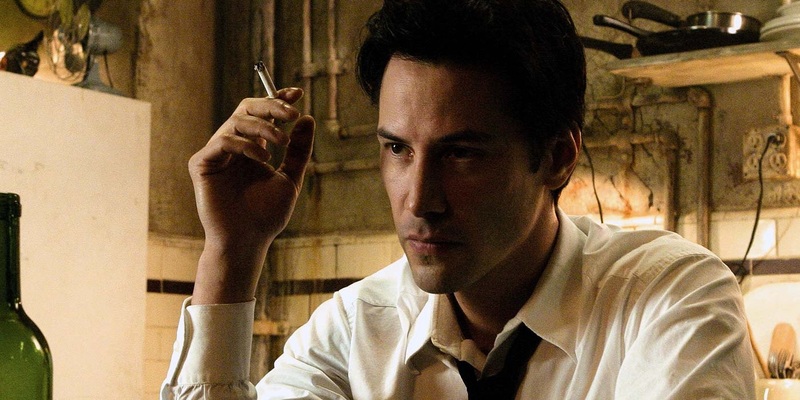 You knew he would have to show up eventually, but for all the flack taken by Warner Bros. and the actor directly when the film was being made, Keanu Reeves' role in Constantine (2005) has only appreciated with age. Sure, the die-hard (or European) fans of John Constantine may still despise the idea that the Vertigo icon would be transplanted to Los Angeles and given an 'American' voice (or a Canadian one, technically). But as the comic book movie genre turned out some even more questionable projects, and director Francis Lawrence went on to The Hunger Games series, Constantine has only gotten better looking in the rear view mirror. Is it possible that Warner Bros. and Liman would want to reach into the past, foregoing a clean start by casting Reeves in the role? That's a bit of a toss up. We already suggested that placing Reeves at the center of another supernatural comic blockbuster could work, so the same logic holds true here. But if the UK heritage of the character is a priority, or Liman simply seeks a different direction, then Reeves' one appearance in the role will likely remain his last. When the first rumors of Justice League Dark casting arose, the report suggested that Warner Bros. had already approached actor Ewan McGregor for an unknown role. It's still not known if that part was the starring role of Constantine or a supporting one like Jason Blood/Etrigan the Demon (we'll avoid explaining that one, since it's an article of its own). That means that no matter how much fans may agree or disagree on McGregor's fit for the part, the studio obviously has him on their radar already. The question then becomes whether the same actor locked in the minds of a generation as Obi-wan Kenobi, one of the stars of the massive, if maligned, Star Wars prequel trilogy, is the right choice for the film (and possible franchise). It's a question fans will need to debate, since McGregor's name can also be found on plenty of fan casting lists -- and his skills are beyond question. After making his name as the everyday Englishmen suddenly skyrocketed to its upper class in Downton Abbey, actor Dan Stevens showed a much darker side in The Guest. It was needed, too, since his role as an English gentleman combined with his upcoming part in Disney's live-action Beauty and the Beast could have cemented him as the kind of actor immediately out-of-the-running for a part as surly and sardonic as John Constantine. 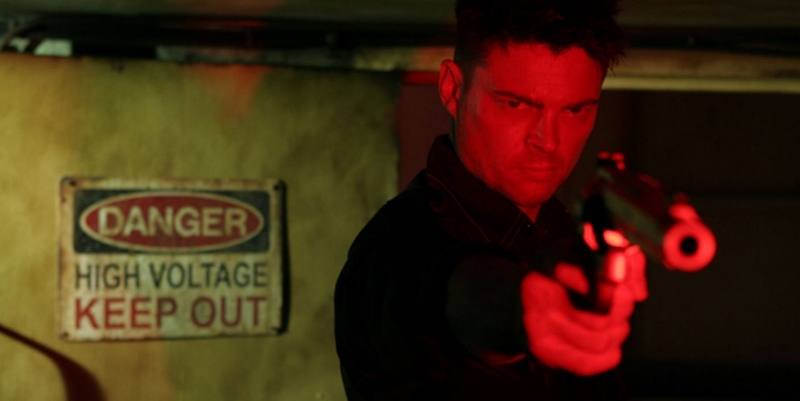 Some might not be convinced by a single performance or shift, but for us, The Guest succeeded in selling Stevens as an unpredictable, simmering figure who isn't to be messed with, either mentally or physically. How much a turn as Disney's most well-known beastly prince may change his status or star power could be the difference maker for whatever his next role may be, but as a dark horse pick, Stevens is a strong (and intriguing) one. 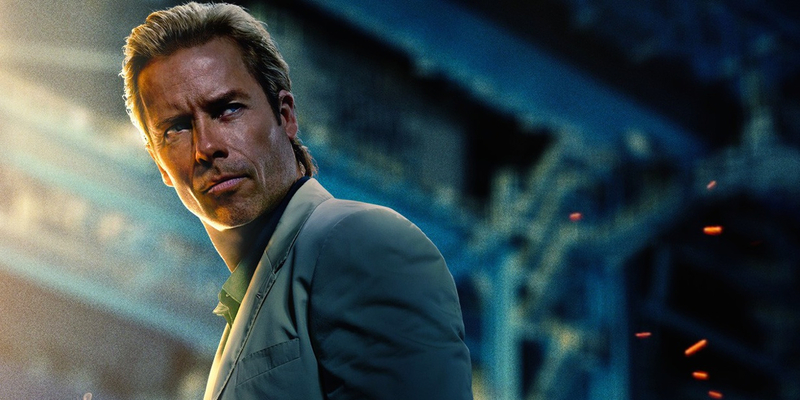 Adding another name to our list of not-quite-blockbuster-leading-mean who still have more personality and x-factor than some of Hollywood's biggest stars, Guy Pearce seems like an actor bound for another kick at the comic book can. While his villainous role in Iron Man 3 was divisive among fans, that wasn't actually tied to his performance. In fact, when tasked with being the kind of suave, physically terrifying villain you love to hate, Pearce shined brighter than plenty of Marvel's antagonists. And if you ask us, a likable villain with equal parts charming and sleazy charisma is closer to the Constantine mark than some may realize. The question is mainly whether Pearce would want to tackle a role surrounded by supernatural characters and CG spectacle, or whether his schedule could actually handle the workload. He'd be an exciting pick that would speak to the film's personality, if nothing else. One more actor who is sure to be found atop many fan lists of actors able to capture the gruff, scruffy, but undeniably likable style of John Constantine is Clive Owen. He may be a bit older than most audiences would expect to see from a comic book movie lead (he's 51), but Owen wouldn't exactly be alone in that regard, with DC Films clearly not casting with only young stars in mind. Since we don't yet know at what point in John Constantine's career Dark Universe is intended to take place, that's a wide open door -- and again, Owen's ability to hold his own against other A-list stars has long been demonstrated on screen. He may not be the kind of name that comes to mind when picturing an action star, or even an actor able to carry a film to box office returns on his shoulders, but Owen's appearances in a wide variety of genres and styles in America means he has significant appeal. And for those eager to see if he's capable of treading new ground, or embracing a bit more of an unlikable, dirtier figure, then his run on The Knick should do the job. When an actor is anchored to one of the most well-known (and high-pressure) roles in the world for a decade, it's expected that they may desire a change of pace -- and Daniel Craig's own fatigue in the role of James Bond has been discussed openly and honestly. With that in mind -- and with his time in the part of 007 perpetually 'wrapping up' -- it's uncertain if Craig would even want to tackle another big budget property/potential franchise guaranteed to be under heavy scrutiny. We hope he would, since a role as... well, basically James Bond's polar opposite in many ways could be a winning one. He may also be a bit older than some fans might expect (he's 48), but those who still remember Craig's acclaimed turn in Matthew Vaughn's Layer Cake know that he's got some zanier antics bottled up. And after so many years playing the scarred and tormented spy, Liman could make a pitch that would sound like the energizing adventure he's been hoping for. Fingers firmly crossed on this one. Right off the bat, we should clarify: we're not referring to the hulking, menacing Tom Hardy that moviegoers will immediately recall from films like Mad Max: Fury Road, Warrior, or The Dark Knight Rises. We're instead referring to the quieter, more playful and fast-talking Hardy seen in films like Inception, Tinker Tailor Soldier Spy, Rocknrolla, and... well, every interview the actor has ever given. When let loose on a role or scene that demands some creative attitude and personality, there are few as charming or entertaining as Hardy. Hardy would have already joined the DCEU in the role of Suicide Squad's Rick Flag had his schedule not conflicted with the shoot, and it's hard to say if his skills as a gruff but playful soldier would have been spotlighted, or he would have added some more subtle, deadpan levity to the proceedings instead. Whatever the case, we would hope he's still as interested in joining the universe in a role highlighting his lighter side. But since his interest in Squad hinged on director David Ayer and his script, it's hard to say. That's right, the brother of Thor himself. Now we know many will dismiss the idea immediately, since no movie studio would allow an actor to play a major role in a rival studio's blockbuster. But instead of dissecting the weight of that claim (since Marvel and DC films actively avoid each other), we'll simply make another observation most Marvel fans have considered already: it might be a bit unrealistic to assume that Tom Hiddleston's Loki will continue to play as significant a role in the Thor series, or the MCU as a whole. After all, we know that his role in Thor 2 was originally much smaller than it turned out to be, and with Ragnarok and the arrival of Thanos swallowing up more of the spotlight, Thor's troublesome brother seems to be bound for a jail cell (or just pushed to the side) before long. So assuming Marvel doesn't officially re-title the film series Thor & Loki Adventures, it seems another major role is headed Hiddleston's way sooner or later. If you ask us, an actor with his talents, his fanbase, and his ability to be a villainous figure audiences can't help but love should convince Warner Bros. that if they don't snag him once his schedule opens up (or his status at Marvel simply settles), someone else will. After so many years sharing the top role in Thor films, it only seems fair for him to claim a new role, and a new franchise as his own (should he want it). Why not make John Constantine a household name in the process? Finally, we arrive at the name already buzzing on fans' lips before reports surfaced claiming that Colin Farrell was emerging as Warner Bros.' top choice for the role. And to be quite honest, it's not hard to see why. Farrell's career as a 'bad boy' was set in stone within what felt like moments of his arrival on the Hollywood scene. But over the years, his life offscreen became less and less the focus of Hollywood's eye, allowing his performances -- and almost as importantly, his choice of projects -- to become the real focal point. And in that regard, Farrell's stock has only risen. With turns as the villain in Comic-Con-focused films like Fright Night and, yes, Daredevil too, Farrell's shown how to have some fun being bad. But his dramatic roles have shown him more than capable to carry a complex narrative all by himself. With a role in Warner Bros.' anticipated Fantastic Beasts and Where to Find Them once again returning him to the spotlight (for both audiences and the studio) it makes perfect sense that they're looking at him as a possible anchor for a film franchise sharing most, if not all of his own qualities. Will he be the perfect man for Doug Liman's group of macabre misfits? We know this much: until further rumors or reports break, he's as solid a choice of frontrunner as you're likely to find. Who do you think should play Hellblazer on the big screen? Sound off in the comments. Dark Universe is currently without a release date. Suicide Squad is in theaters now; Wonder Woman is slated for release on June 2, 2017; followed by Justice League on November 17, 2017; Aquaman on July 27, 2018; an untitled DC Film on October 5, 2018; Shazam on April 5, 2019; Justice League 2 on June 14, 2019; an untitled DC film on November 1, 2019; Cyborg on April 3, 2020; and Green Lantern Corps on July 24, 2020. The Flash, The Batman solo movie, and Man of Steel 2 are currently without release dates.